Pain and Injustice: They Haven’t Gone Away, You Know. 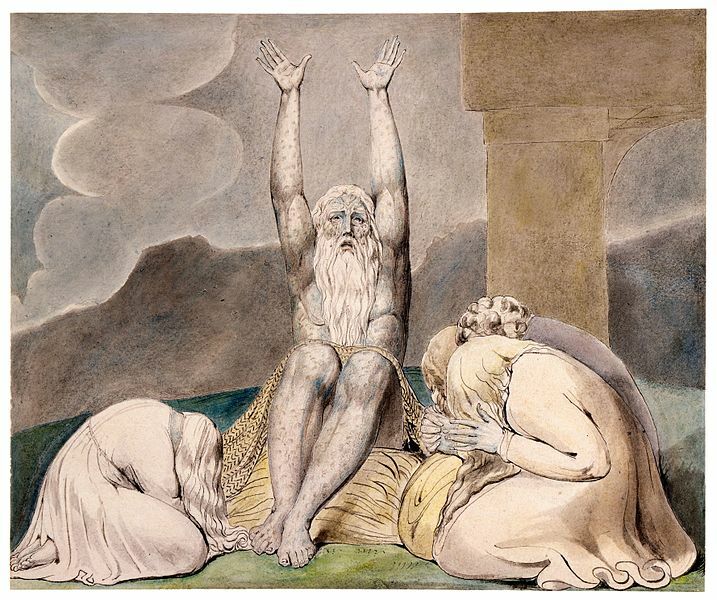 Not that anyone involved with Saints and Sceptics wish, in any way, to downplay the problem of evil – evil really is a problem; suffering really is a problem, and if Stephen Fry is right about one thing, it is that he is right to be angry. Who wouldn’t be angry about, as Fry says, “Bone cancer in children”? Who wouldn’t be angry about the misery, or the injustice or the pain we face in this world. I have been angry about any number of things we have to face in this world, and on any number of occasions; and my patience very often snaps before I get anywhere close to thinking about the kind of suffering of caused by cancer – and often I’ve blamed God. Indeed one of the problems that Christians face is that very often, if we’re honest, we can blame and criticise God even for the most trivial of reasons: when my plans don’t quite run smoothly; when I feel overlooked or ignored; when I feel that life is not quite fair. And as well as responding to Stephen Fry we might also pause to consider our own unfaithfulness and lack of trust, and seek forgiveness. Which, at the most basic level, would be easy enough to say if God did not exist; but not, however, if the previously described, “capricious, mean-minded, (and) stupid god” does. Indeed if Fry’s god does exist, then there is significantly more to fear than to dismiss. The first response then is this: an argument against god, one fuelled by an understandable ire against the injustice of this world, and one which frames that god as “capricious, mean-minded, (and) stupid”, cannot merely end in a dismissal of that god: if that god exists, dismissal isn’t an option. Indeed the only reason for conjuring such a god is to discredit it, project one’s anger onto it, and then dismiss it, feeling significantly better about oneself in the process – it’s certainly not credible to think that anyone would want such a god to exist. What then of the claim that having banished him, “your life becomes simpler, purer, cleaner, more worth living”? Well, that might be a reasonable suggestion if, and only if, we didn’t still have the problem of, “bone cancer in children”; “misery”; “injustice” and “pain” – but we do, and it won’t do to dismiss that as non-existent. And there is now no-one, and no-thing to blame except, time, chance and, perhaps, (if we have courage) ourselves. Fry may have banished god, but he has not banished our pain. So what, I wonder, does Mr. Fry’s opinion have to offer us? One thing, at least, is clear – Stephen Fry recognises what we all recognise: that this is often an unjust and terribly painful world, and that anger in such a world and at such circumstances is reasonable, we might even call it good. And on this point we can agree. And I have no doubt that we might also agree that the human response to such painful circumstances must be to ‘love mercy, act justly and do good’ – in fact, if one’s life really is to become “simpler, purer, cleaner, (and) more worth living” (having banished god), it would be difficult to see how that could be the case without tending to the well-being of our fellows. But Mr. Fry’s view leaves us with a dilemma, a dilemma which won’t go away no matter how much banishing of God we do. …and then in this world, this cancer-ridden, painful, and unjust world world without god, we die. There is no other option here – Stephen Fry’s answer is a world of pain and then… death. The Christian answer, however, one which does not seek to ignore the problem of evil in any way, faces the fact of a world of pain and then says… live. There really are no other options. There, is, however, an option other than, “a capricious, mean-minded, stupid god who creates a world which is so full of injustice and pain” – and for that we look to our own responsibilities, and the Cross.